Sporty styling for the outdoor athlete. The Mens Kanuka Point Jacket loves energetic activities as much as you do. 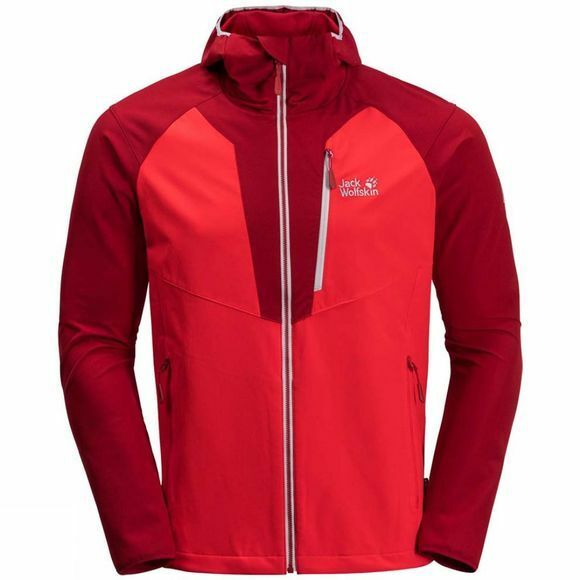 This softshell jacket is made of super stretchy and highly breathable fabric that folLows your every move. The Mens Kanuka Point Jacket makes light work of steep mountain paths. And if the route to the summit involves a bit of scrambling over rough rocks, fear not, the fabric is robust enough to cope. Wind and light showers are no problem either.